There are many types of Insurance policies available but only one that has been designed specifically for Jewellers. This policy is commonly known as a Jewellers Block policy. Get in touch with the Management Liability professionals at FD Beck Insurance today and make sure you’re covered right. Experience – we have extensive experience with your Industry & we use our knowledge to negotiate the very best terms with Insurers. 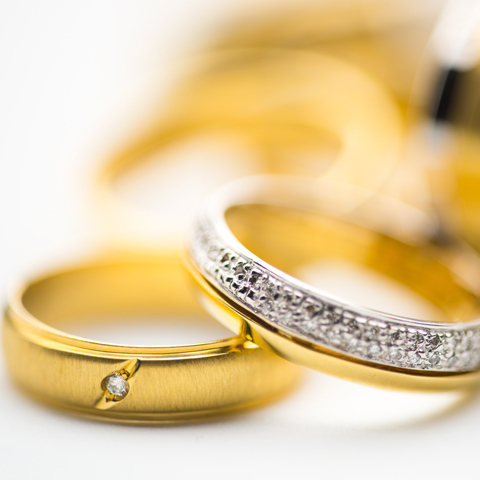 We understand that all Jewellers are not the same & that means the insurance risk with each business can vary. Jewellery wholesalers, Importers & distributors. Repairs, maintenance & or servicing. Personalised service – we provide a personalised service which includes face to face contact with our clients. Detail – we believe in detail because detail does matter, particularly when it comes to a claim. Insurance Company/Security – we believe the selection of an Insurer(s) who have experience with your Industry is vital. FD Beck have access to worldwide markets, which will ensure you are being offered the best possible protection at an affordable price & the very best in claims settlement. Risk assessment – because we have intimate knowledge or your business operations, we are therefore able to assess your risk & tailor your Insurance policy accordingly. Risk Management – Insurance policies do not prevent incidents, but you can, by taking a pro-active approach to risk management. You work in a high-risk industry and you are subject to Armed hold ups, break & entry & or ram raids. Any of these events can have a serious effect on your business, not to mention the effect an armed hold up can have on you or your employees. It is preferable that they do not happen at all. As a proactive Business operator, you should always be reviewing your security & upgrading to ensure you have the best possible protection. The benefits may include obtaining improved insurance terms, but certainly the most significant benefit of all is reducing the possibility of an armed hold up or a break in. We have extensive experience in risk management & can assist you on security matters. Exposed to Public access or vehicle access eg Car park or street frontage. Located within a shopping complex with no exposed areas to car park or Public after hours. Alarms – install a top-quality alarm system, preferably a dedicated Landline, Mobile system, Digital Dialler or a smoke alarm system? Make sure you have enough sensors to cover all your premises. Ensure your system has window detectors, which will activate the alarm prior to entry. Consider a second alarm code otherwise know as a security code. Panic buttons - ensure you have hold up or panic buttons (fixed but preferable portable) – these can be beneficial in the event of an armed hold up during business hours. CCTV footage – won’t prevent armed hold ups or break & entry but they may lead to apprehension. Install a comprehensive digital surveillance system with enough cameras that provide 100% coverage internally. Additionally, have appropriate external cameras that operate effectively at night. Storage time is also an important consideration. Strongroom(s) if you have a strongroom make sure it has been constructed in accordance with Australian standards & appropriate locks are installed on the entry door. Showcases – consider the type of glass & its thickness, eg: Plate glass, Laminated or covered with security film, Bandit proof glass. During operating hours, ensure showcases are locked with keys being removed. Is your safe connected to your security Alarm system. Does your safe have door contacts. Sensors – do you have seismic or vibration sensors. Is your safe fitted with time delay locks. Is your safe torch & drill resistant? Stock security after business hours – remove all stock from display windows & showcases after business hours & store in your locked safe or strongroom. Cover all exposed areas (doors & windows) with either Electronic roller shutters, Steel bars grills. Security film with attachments over display windows may prevent entry or at least delay entry. Bollards are a good option if you are exposed to ram raids. Double Door Interlocking Mantraps may be an option. Even though you may have exposed doors protected by roller shutters or similar, it is still important to have good quality locks on doors as well as an anti-jemmy bars. Key operated locks strategically located at the top & bottom of all doors will also provide added protection.